Some slides need to be handled privately while others are meant to be seen by big audiences. 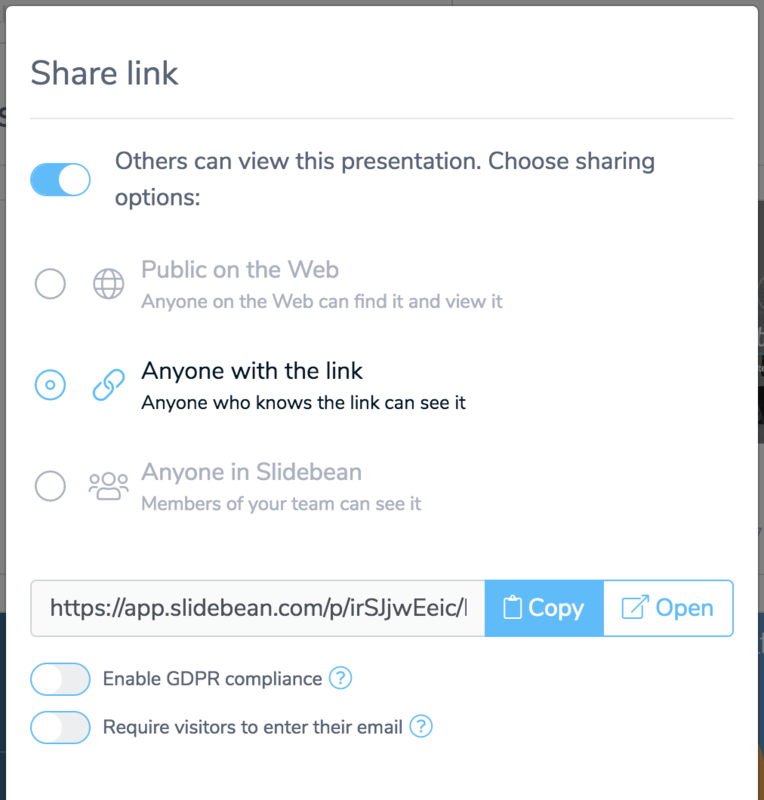 We take privacy seriously, so here's where you can manage if your slides can be shared or not. To get there, find the deck among your presentations and hover over it, then find the Share button at its top left corner. 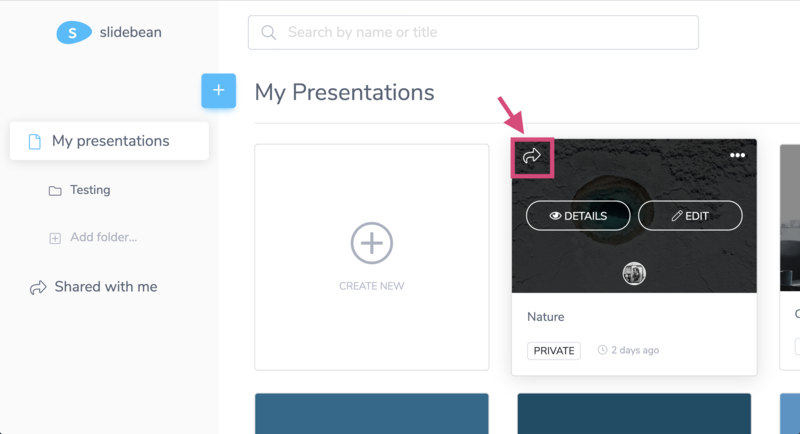 To keep your presentation only available to you, turn the toggle to Only you and your collaborators can view this presentation. And that's it, only you will have access to that presentation. If necessary, below in Collaboration you can still send an email invitation for someone to see or edit the slides while keeping it private. These permissions can be removed at any time too. Keep in mind that, collaborators will need to have a Slidebean account or sign up, even for free. Public: The deck will be indexed into Google search engines, accessible in the open web. Unlisted: Anyone with the shareable URL will be able to view the slides. Here, you will find the link to share your deck. When sharing your deck, you can choose to require viewers to enter an email address, so you can track valuable stats from individual views, with Presentation Insights. If you're based in EU and/or sending the link to viewers in EU, make sure to enable the GDPR compliance setting, so your viewer can decide over his data usage as the regulation requires.